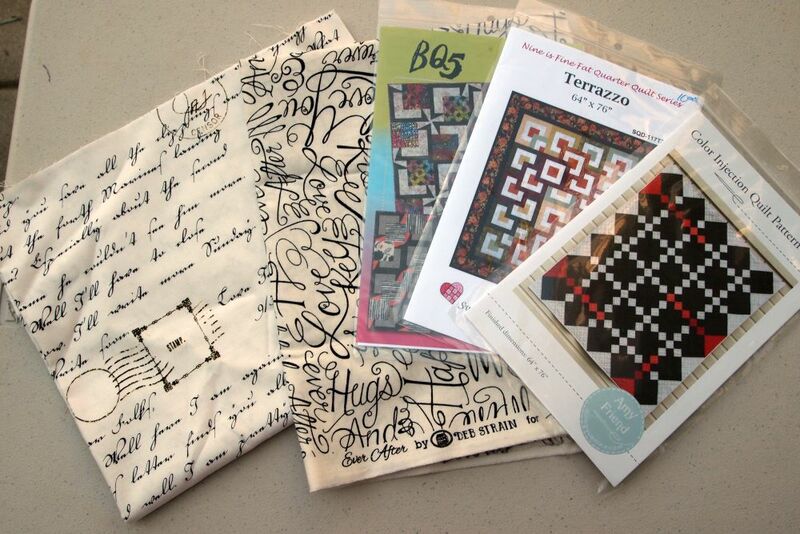 Looking forward to greeting my friends from Around the Block Quilts today. They've been on a Row-by-Row Experience road trip to Santa Fe, and will stop at Ruth's Stitchery on the way back to Cheyenne. I can't wait to show them "my" shop! In the meanwhile, here are some more stash additions from my own road trip to Idaho last month. It's pattern week! 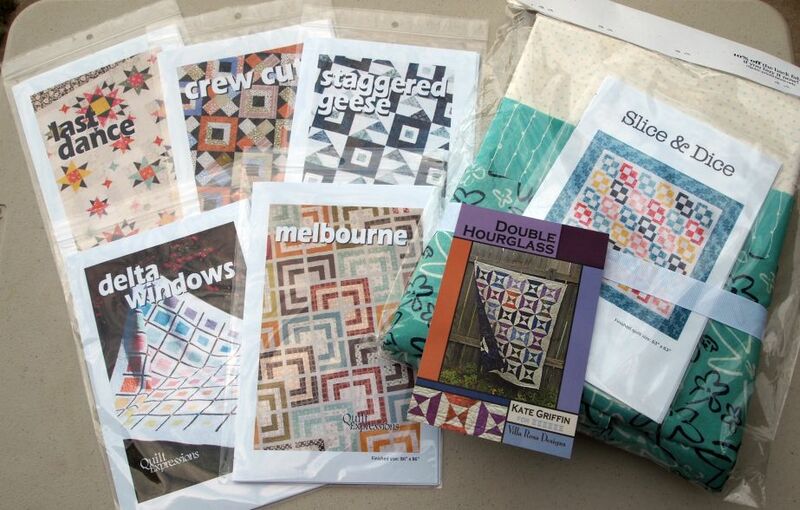 Next year at Ruth's, we're doing something other than a strip quilt every month. The odd-numbered months will still be "Jelly Roll Party." First Friday of every odd-numbered month (January, March, May, July, September, and November) we'll make a different quilt using 2½" strips. On the first Friday of the even-numbered months (February, April, June, August, October), we'll have Fat Quarter Fun. 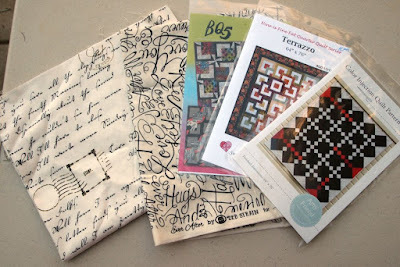 Quilts made using fat quarters! I can't wait to start putting together unique fat quarter bundles for each sample quilt. 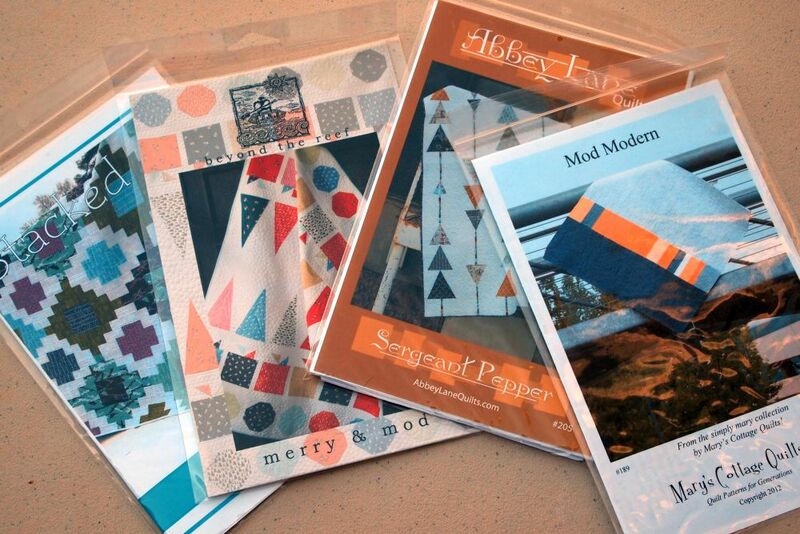 Do you have a favorite strip or fat quarter quilt? Tell me the name of the pattern in the comments! Interlocking Chains (not entirely strips... but LOVE this pattern. Just finished it. From the book: New Ways With Jelly Rolls by Pam and Nicki Lintott. First time I ever used a pattern! Karen, I love Pam and Nicki's patterns -- we've used several in the four years I've been leading the Jelly Roll Party at Ruth's Stitchery!